This is a result of an unexpected side effect of a flood in Sindh, Pakistan. 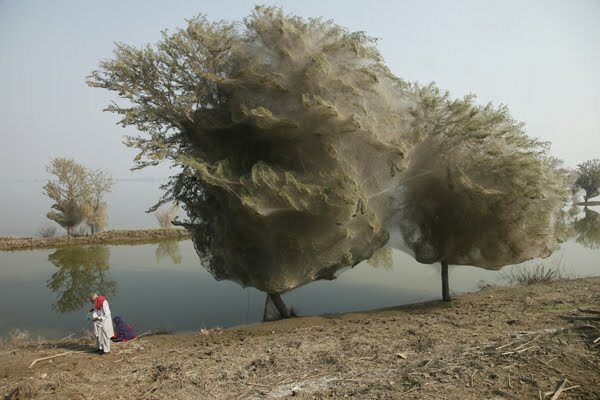 Millions of spiders climbed up into the trees to escape the rising flood waters. The spiders contributed to reduce the amount of mosquitoes expected due to stagnant, standing water that is around, contributing to reduce the risk of malaria.